The words "enjoyable commute" might seem oxymoronic, but our trips to and from work might provide important benefits to our personal development. At the same time, there’s no denying the stress and anxiety caused by a grueling commute, especially when it involves sitting in traffic or being stuck on a train for more than an hour each way. So how can we amplify the pros of commuting while ameliorating the cons? Answer: flexibility. 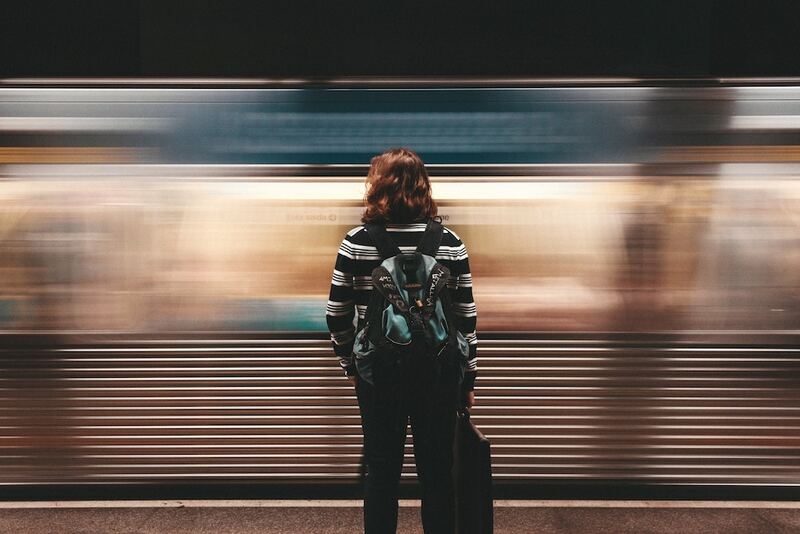 David Bissell, an associate professor at the University of Melbourne, spent four years researching commuting experiences in Sydney, Australia, and released his findings in his recent new book Transit Life: How Commuting is Transforming. He argues that "rather than passively transporting us, commuting journeys and transport systems are actively changing us." For example, commutes force workers out of their private spheres and into the public world, where they have a chance to interact with (or at least observe) hundreds of strangers, if not thousands. One woman with whom Bissell spoke, for instance, hated how long her commute was but loved the sense of community she felt among the other regulars in her train car. "These seemingly inconsequential encounters are significant because they can transform us in subtle but powerful ways," Bissell writes in an essay for The Conversation. "They might take us out of ourselves, looping our own dramas into the lives of others, intensifying our sense of connectedness to worlds beyond our own." He continues: "Over time, and through repetition, what we experience becomes part of who we are, and who we are comes to be part of the environments we move through." Bissell also asserts that commutes, by their very nature, enable some activities and constrain others. If we drive to work, for example, we can't read or work but we can listen to the news or enjoy a podcast. If we commute via subway, we might not be able to make a phone call, but we can read a newspaper. Another woman Bissell interviewed has started taking a long train ride to work instead of a shorter drive so she can read. Plus, for many workers, commutes can provide an essential mental reprieve between the stresses of home and work. That said, Bissell isn't oblivious to the downsides of commuting (and neither is anyone who has ever taken the New York City subway during rush hour in the summer). He cites a 2014 study that determined that "commuting is negatively related to personal well-being." People who commute to work regularly reported being less satisfied with their lives, rated their daily activities as less worthwhile, and reported less happiness and higher anxiety than non-commuters. And the longer the commute, the worse the effects. So perhaps the challenge is finding the balance—the tipping point where commuting goes from interesting to irritating. And this is where flexibility can help. Take DeskPlus for example, which grants employees location variety. If an employee works from home or at least closer to home for part of the workweek, they can reduce their overall travel time, while also reducing traffic congestion and their carbon footprint. TimeShift is another schedule modification that can help alleviate commute-induced anxiety. If an employee can get to work faster by leaving slightly later in order to avoid rush hour, there’s a good chance they will be more happier, more productive, and less likely to quit. "To claim commuting is either a negative or positive activity belies its fundamentally indeterminate nature," Bissell concludes. "Commuting can tire, deplete, and cost, but it can also enliven, excite, and energize." At Werk, we are focused on helping businesses work better, and there’s question that the quality and quantity of commute time plays a large role in that equation.